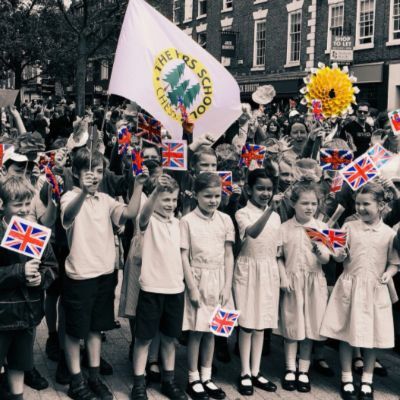 Children from The Firs School, Chester were busy last week making some beautiful colourful flags and sunflowers, in preparation for the Queen and Duchess of Sussex visiting Chester on the 14th June for the official opening of The Storyhouse Theatre. 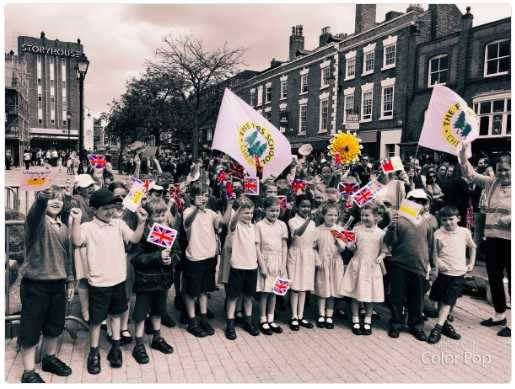 Children from Years 2 and 4 were very excited to be selected to walk into Chester on the day and wave flags for the Queen and the Duchess of Sussex. 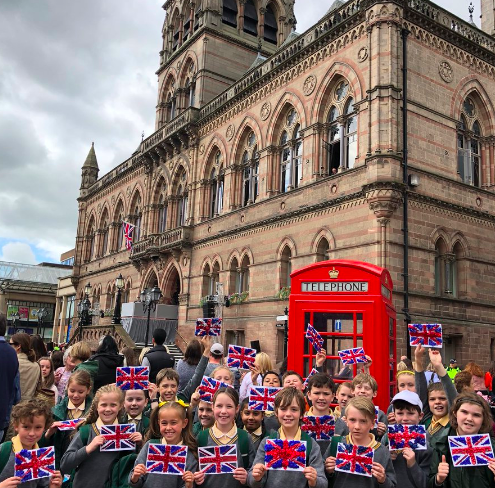 Teachers and assistants accompanied the children and found a fantastic spot to wait in front of Chester Town Hall. Whilst waiting the children enjoying the buzz of the crowds gathering to see. 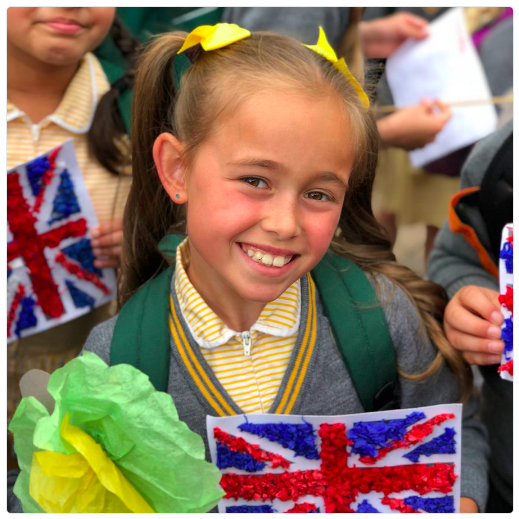 The Firs School children, all dressed impeccably received more media attention than we could ever have imagined, being interviewed by TV , radio and newspapers and even appearing on Australian Channel 7. 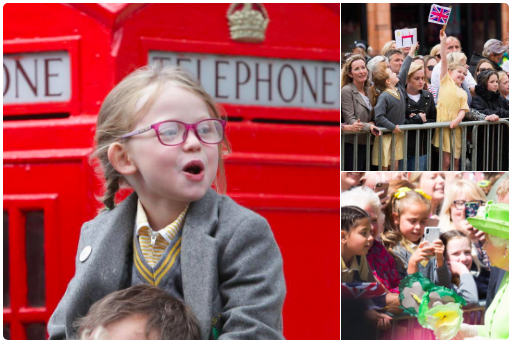 The children spoke in a polite and confident way to members of the public . 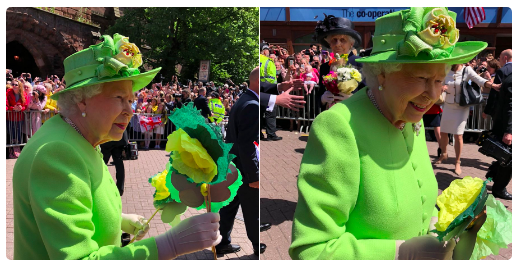 The Queen spoke to a few of our pupils and received some of their hand made flowers! She even told us they were beautiful! We could not have been prouder of our pupils, who walked 4 miles and waited 2 hours without a single complaint!